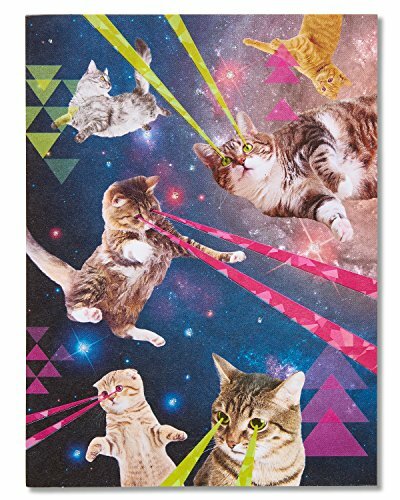 M1543BN Cat You See Me Now? 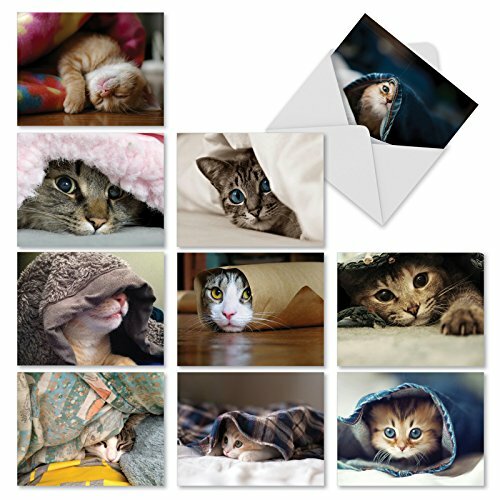 : 10 Assorted Blank All-Occasion Note Cards Feature Images of Cats and Kittens Hiding, w/White Envelopes. 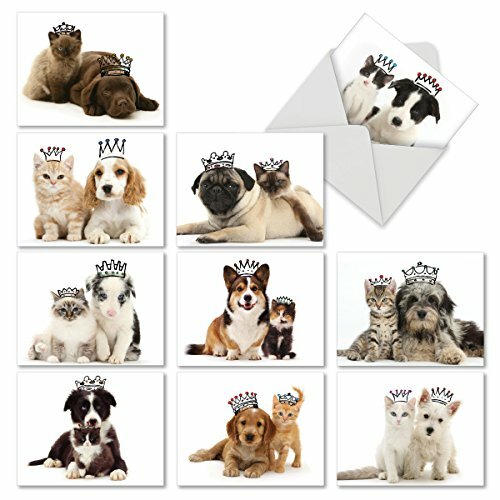 M6596OCB Copy Cats: 10 Assorted Blank All-Occasion Note Cards Featuring Cats and Dogs That Have Similar Markings Wearing Crowns, w/White Envelopes. 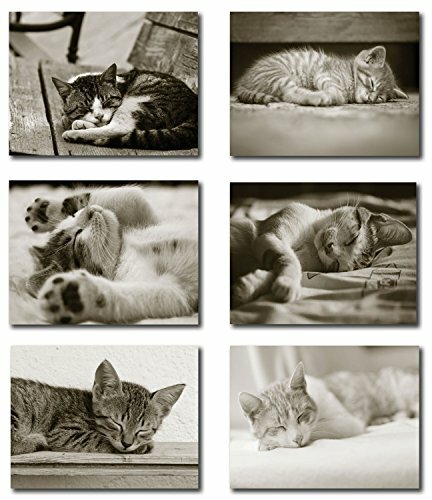 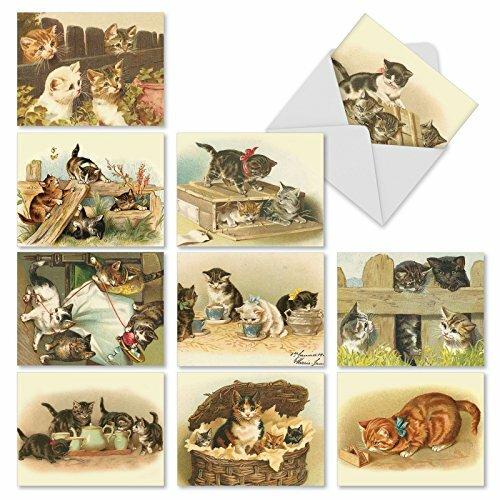 M1732BN Cutey Cats: 10 Assorted Blank All-Occasion Note Cards Feature Vintage Kitten Illustrations, w/White Envelopes. 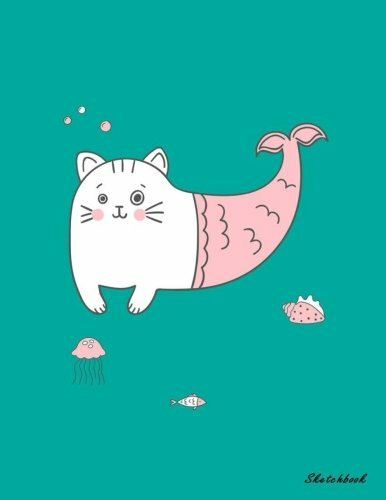 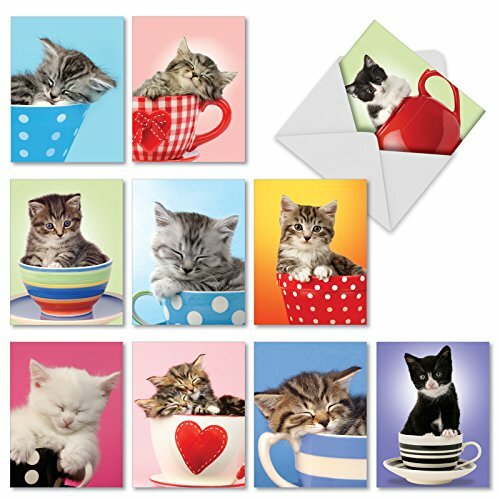 M3969 Cup-Cats: 10 Assorted Blank All-Occasion Note Cards Are Filled to the Brim With Adorable Kitten Cuteness, w/White Envelopes. 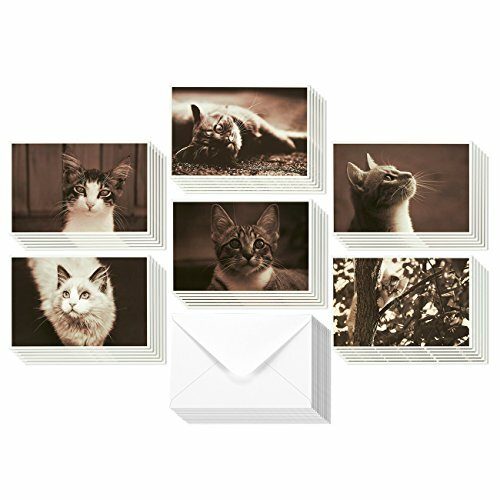 M3324 Catitude Shoes: 10 Assorted Blank All-Occasion Note Cards Feature Stylish Cats Frolicking in Stylish Shoes, w/White Envelopes. 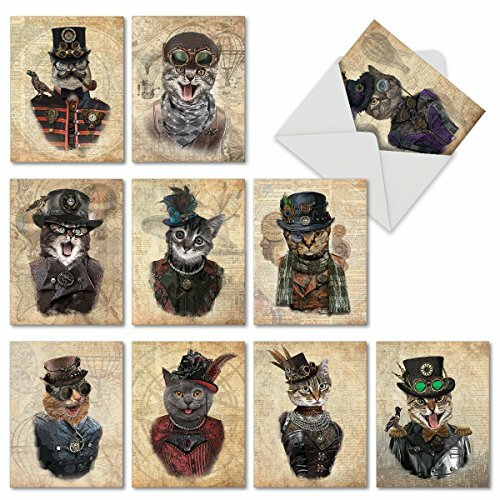 M6554OCB Steampunk Cats: 10 Assorted Blank All-Occasion Note Cards Featuring Fashionable Felines Dressed Up in All Their Victorian Steampunk Finery, w/White Envelopes.